Pat McKinney, and Tim Pope from Spartanburg joined with Happ Lathrop from the SCGA to honor Tom McAllister with a lifetime achievement award. You can make a lot of friends in 46 years around a golf course and Tom McAllister did just that in his long tenure at The Country Club of Spartanburg. McAllister retired from the club in February and hoped to slip away quietly from the job he held since becoming a PGA professional. However, his many friends and fans at the club had a different idea. More than 100 members, friends and former assistants gathered to show their appreciation for his years of service to them and the club. 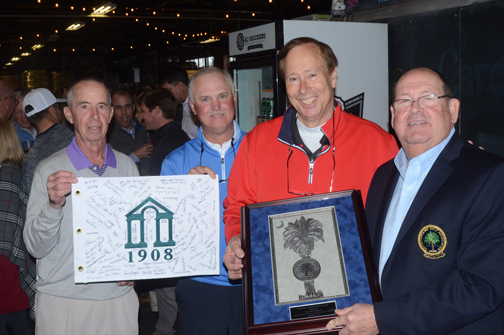 The South Carolina Golf Association joined in the celebration of his outstanding career. The SCGA presented McAllister with the first ever lifetime achievement award at the gathering. “We have never given this award before and it isn’t going to be an annual award,” said former SCGA Executive Director Happ Lathrop. “I don’t know that we are going to see many more pros who give 46 years to a club, members and the game of golf. Tom is really someone special who deserves this honor,” he said. McAllister was greeted by over a hundred friends, club members and former assistants at a special gathering to honor his years of service. 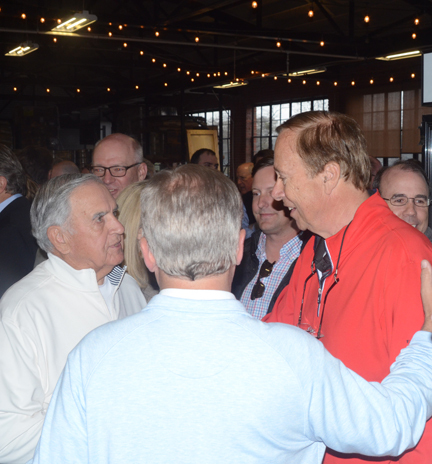 McAllister was surprised by the gathering at R.J. Rockers in Spartanburg. He thought he was just going to dinner. “I really am at a loss for words. I don’t know what to say,” he said. “I made so many wonderful friends at the club and it was a real surprise to see so many of them here,” McAllister said. In addition to the SCGA award the club presented him with a special club flag signed by the members and an honorarium for his many years of service. “It is very nice of the members to do this for me. I feel like I should give this to my wife and kids because over the years I often put the club and members ahead of my family,” he said. 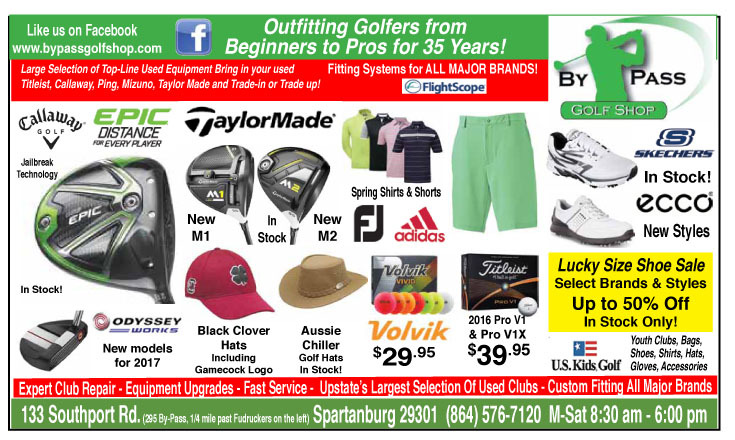 The Golf Club Newspaper published this story about McAllisters retirement in the February issue of the newspaper. 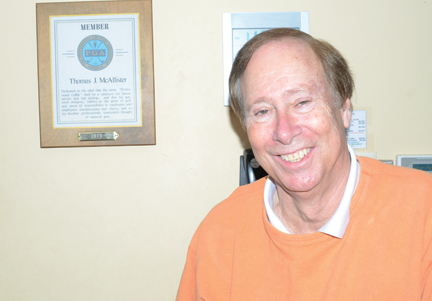 Tom McAllister retired from the Country Club of Spartanburg in February after 46 years at the club. Tom McAllister grew up as an “Army bratt’ he lived all over the world and never lived in the same place for longer than three years at a time. His days of wandering ended when he was hired by Hall of Fame professional Joe Davis to be his assistant at The Country Club of Spartanburg in 1971. “I got out of the army and wanted to work in golf,” said McAllister. “I had two offers for jobs. One was at the beach and the other was from Joe. This one paid $10 a week less, but seemed like it would be a good fit,” he said. Now after 46 years at the club McAllister is retiring. As a young professional he was associated with the Hogan brand and that association provided McAllister with one of his all-time career highlights. “We got to go to Fort Worth and see the Hogan operation and spend a couple of days with Ben Hogan,” he recalled. Hogan had dinner with the staff professionals. He answered questions and watched all of them play a couple of rounds at Colonial and Shady Oaks. “We got our pictures made with Mr. Hogan and he autographed them, it has been a great memory for me,” he said. McAllister was hired as a professional in the days when playing ability was valued more at clubs than it is today. The Furman grad began his college golf career at Houston, but transferred to Furman after his first year. “Freshmen couldn’t play in those days so after the first year I transferred to Furman and got to play on a Southern Conference championship team with Hall of Fame golfer David Strawn,” he said. As a golfer, McAllister owns one national championship. However, it isn’t a USGA title instead it is the national championship from Paraguay. “My dad was stationed in the country at the time and I got to play in the tournament and won, However, since I wasn’t a native I could not advance to play in the world golf championships, but it was still great to win something like that,” he said. Equipment has changed and so has the role of the club professional. Instead of being a player now the job is more manager. “You are the face of the club to a lot of members and running top notch events like member-member or club championships are at the top of your duties,” he said. McAllister has done such a good job of operating important events that it isn’t unusual for other club pros to visit Spartanburg to get some tips on how to do things better. 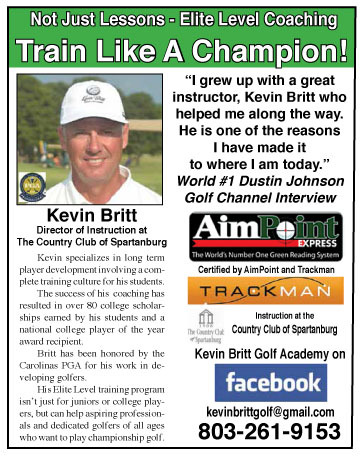 The CGA and SCGA have held numerous championships at Spartanburg during his many years at the club. “Tom is a true southern gentlemen. He is humble, kind, and a friend to all. 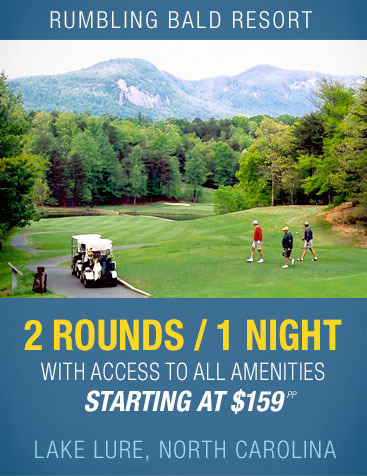 When I think of the consummate golf professional, Tom is at the top of the list.,” said Jack Nance, the Executive Director of the Carolinas Golf Association. Playing golf is what McAllister is looking forward to in his retirement. “If I have one regret is that I didn’t try to play more, but I always thought my job at the club came first,.” he said. He hopes to do some teaching along with playing in his retirement. “This has been a seven day a week job for a long, long time and I am going to take some time to think about what role golf will have in my life in the future,” concluded McAllister.